The Great Gatsby is now a video game..
Yup, it’s happened – someone has taken The Great American Novel and made it into A Middling American Computer Game. 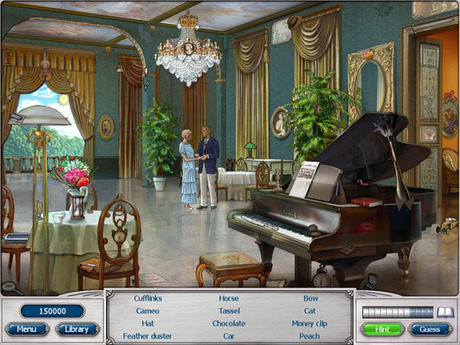 The Great Gatsby by Scott Fitzgerald is now an online game, available with a free trial on iplay.com. Though it does boast that it is the only hidden object game to get a full score from Gamezebo. And hey there’s a jazz soundtrack. You didn’t get that with the book. "it&apos;s Tom! it&apos;s Tom!" iPhone app createes ringtones that say the caller&apos;s name..
Wow i am so happy to read this article, because i am die-heart fan on video game. I’d buy your version in a heartbeat, as long as half the dialog tree involves the phrase “old sport” and they use rag-doll physics when the car nails Myrtle. I can’t believe you just posted that spoiler! LOL.